With about a week to go until Christmas Day, have you done all of your holiday gift shopping? Have you even started? If not, don’t despair. To the rescue, a list of the 10 best wine gifts that you can snap up at the last minute — and it won’t look like you waited until the last minute. Check out these gift ideas that are more creative and thoughtful than a bottle of wine. Bottlestoppers. 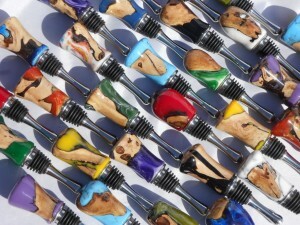 You see them everywhere, but these colorful stoppers, made by Vine of the Wine are truly unique. They’re made by incorporating grapevines into the stoppers themselves.